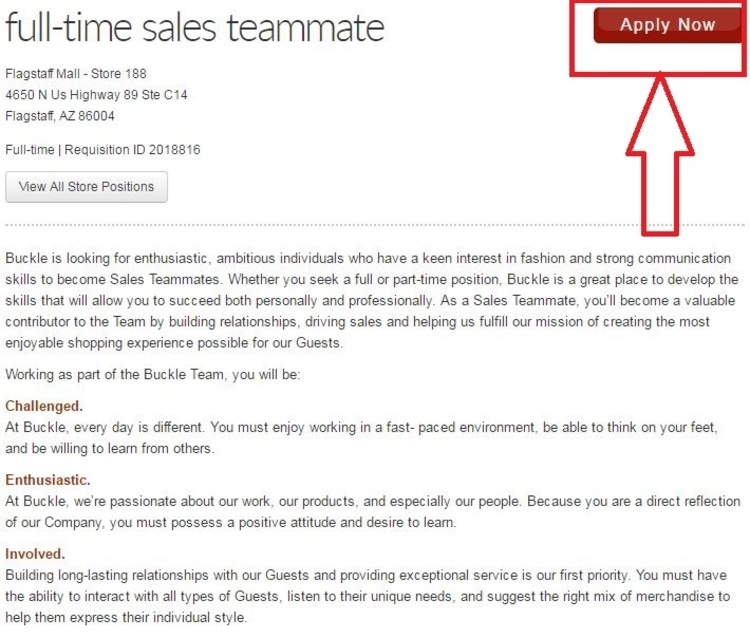 Go to the Buckle careers page by visiting buckle.com/careers. Click "Apply Now" button and start with your online application. 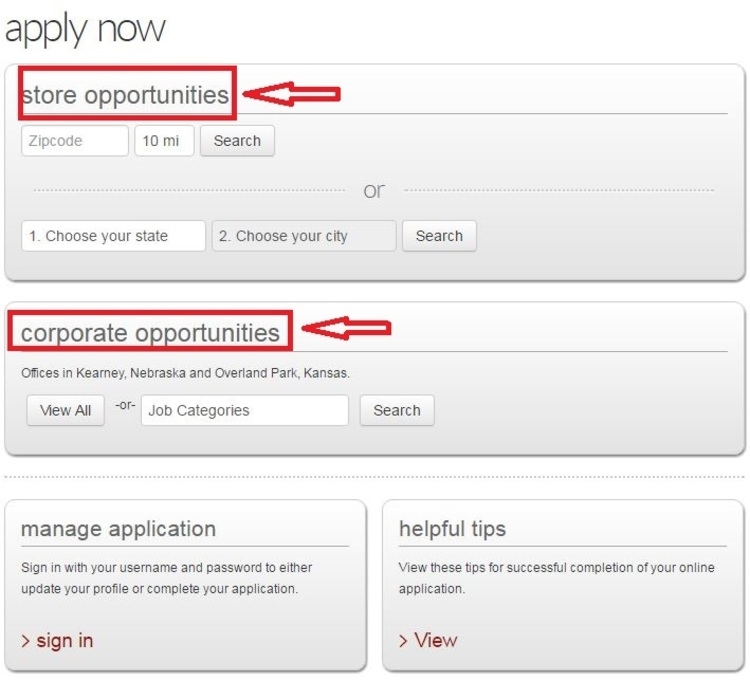 There are two sections for you to choose from: store opportunities and corporate opportunities. You may search either by locations or by checking all job category. When you select a job that you would like to apply for, you will see some detailed information including requirements and description about that position. If you are qualified for the position you choose, please click "Apply Now" to continue. 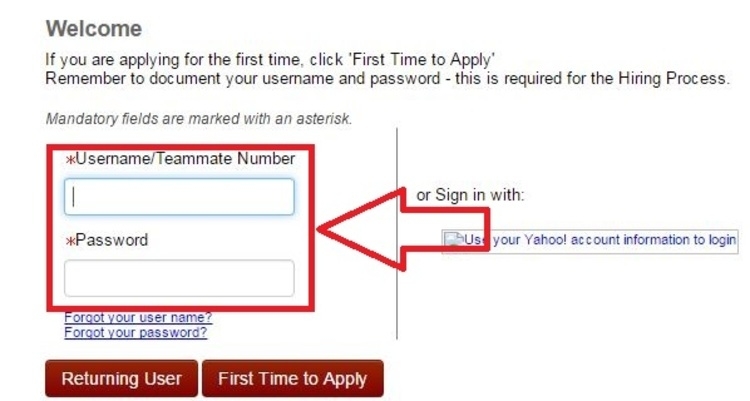 You are required to log in before any further action. If you are a new user, you must register first to get access to the online application. Please read and accept the privacy agreement. If you don't, you must immediately terminate the application process. 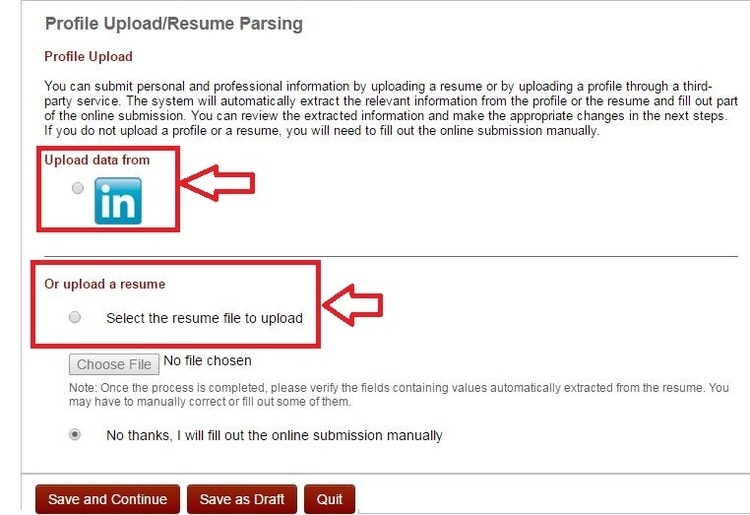 You may choose to upload your resume, which is recommended if you have a resume profile on your computer already, or fill out the online application form. After this, you need to complete some contact and personal information. When all is finished and completed submission, it's time to wait for notification for the interview. 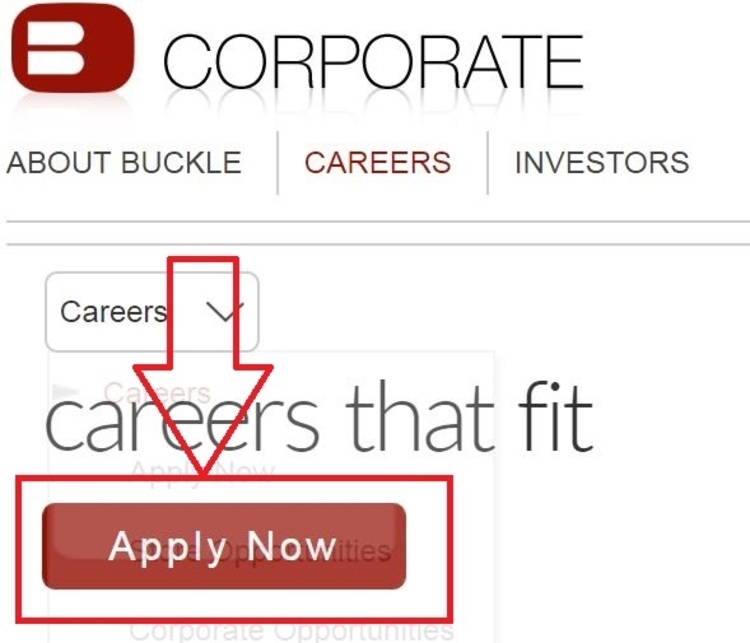 Click buckle.com/careers to apply for Buckle jobs online.